Until now, only two Australian satellites had been launched into space, one in 1967 and one in 2002. Yesterday, three more were sent aboard a NASA Atlas V rocket from Cape Canaveral Air Force Station in Florida. As part of the QB50 international project, the nanosatellites will join a total of 50 CubeSats. They will soon be deployed from the International Space Station and will stay in orbit for 12-18 months. 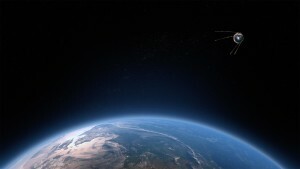 The satellite’s purpose is to explore how the thermosphere (which is found from around 90km to 500-1000km above the Earth) affects the climate, as well as how it relates to other parts of the atmosphere. It will measure particle density and the amount of water vapour in the thermosphere and will also help to understand how this layer affects the re-entry of large spacecraft. This information will be invaluable to climate researchers worldwide. The three nanosatellites were developed by staff and students at the Universities of Sydney, Adelaide and New South Wales. Nanosatellites allow for space research at a fraction of the cost of a full-sized satellite, as their tiny sensors can do the same jobs as the larger satellites and are only about the size of a loaf of bread, as opposed to the size of a bus. This can reduce costs from tens of millions of dollars to tens of thousands. There is much support for an Australian Space Agency to drive the development of space technologies, as we currently play a large role in space programs from other countries. Newspace Global believes that the number of companies involved in commercial space projects has grown from 100 to 1000 in the past five years, including SpaceX and Blue Origin. 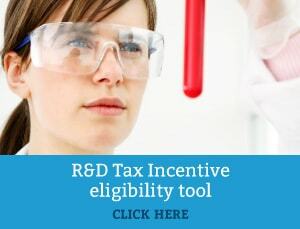 Companies that are developing new or improved services and products for space may qualify for the R&D tax credit. To find out more, contact Swanson Reed R&D Tax Advisors.